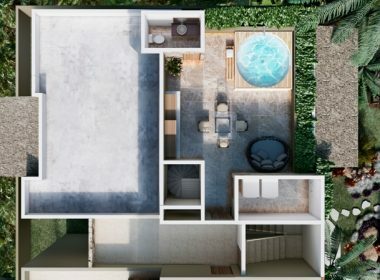 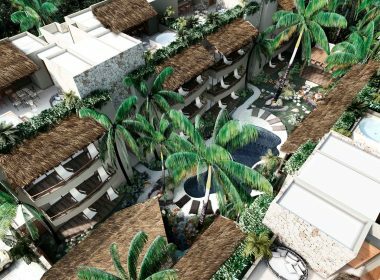 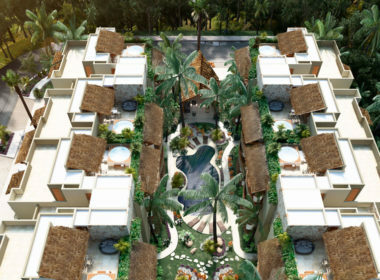 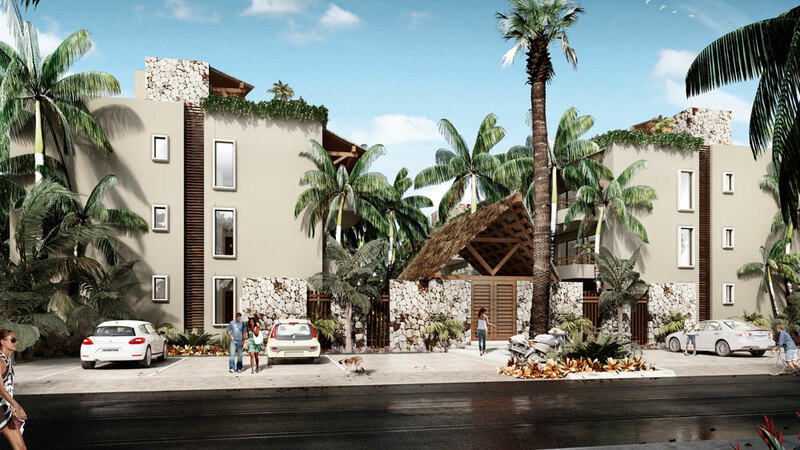 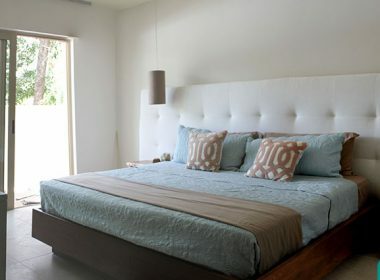 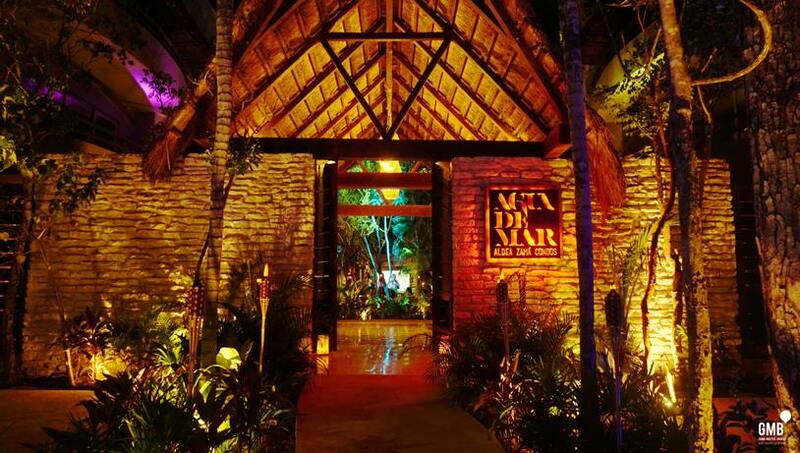 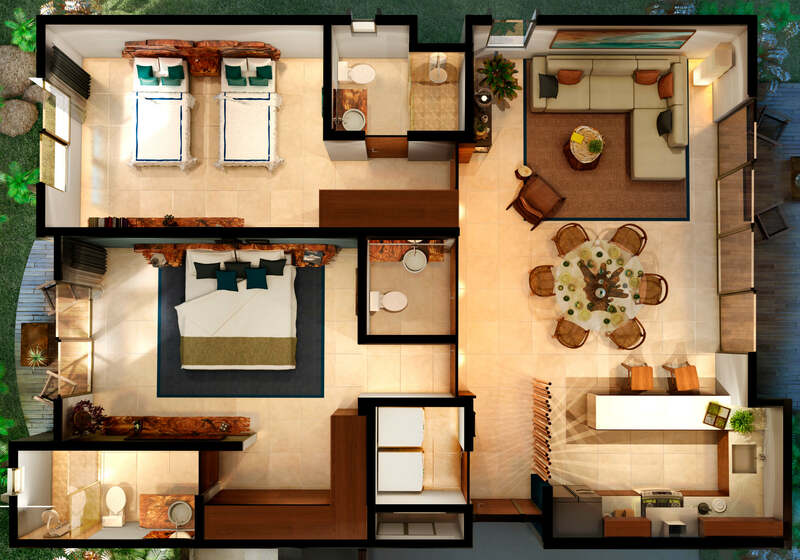 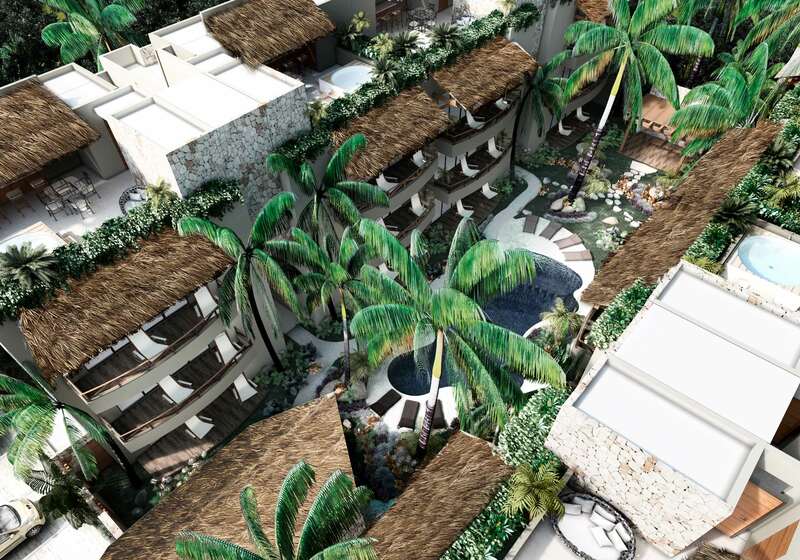 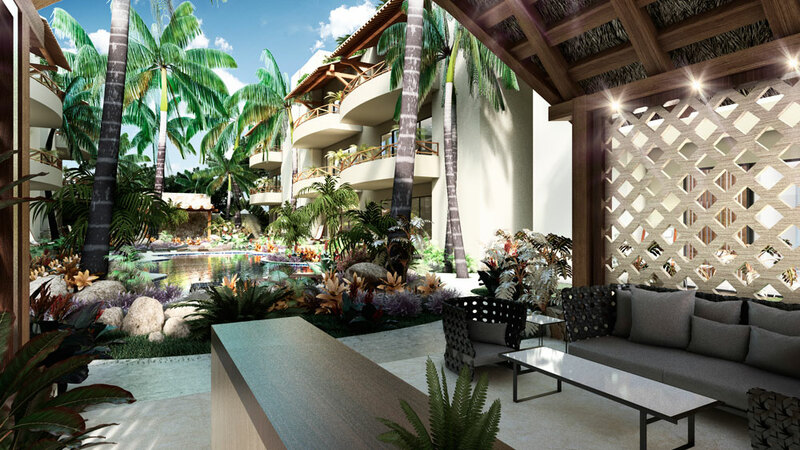 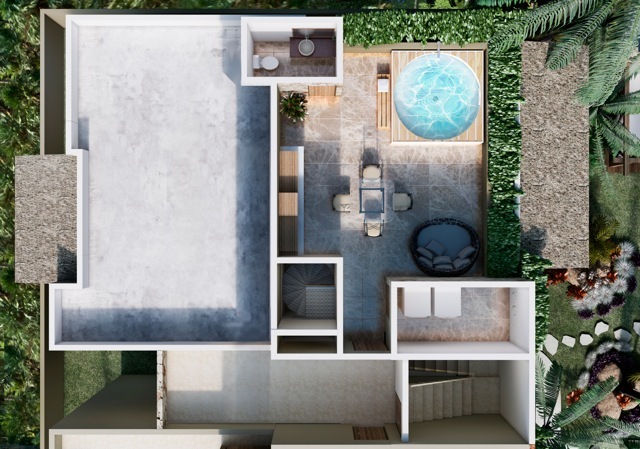 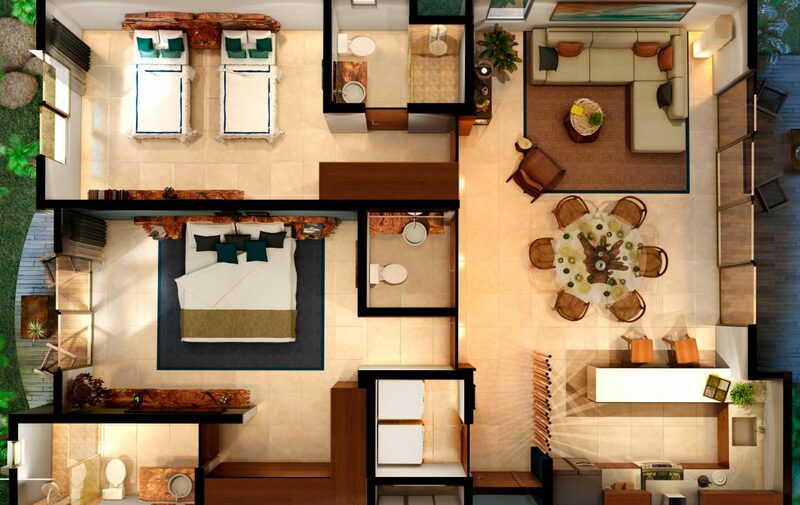 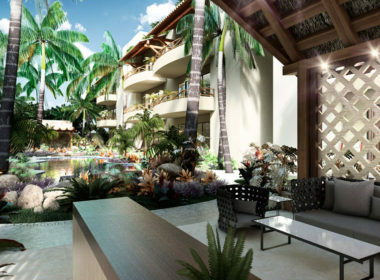 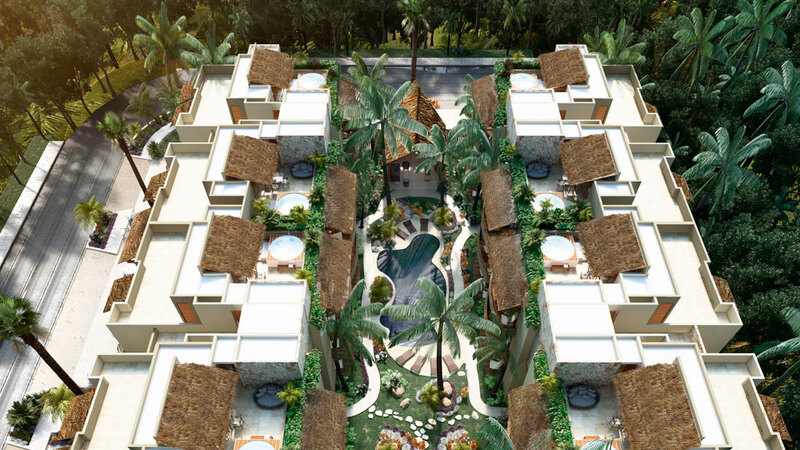 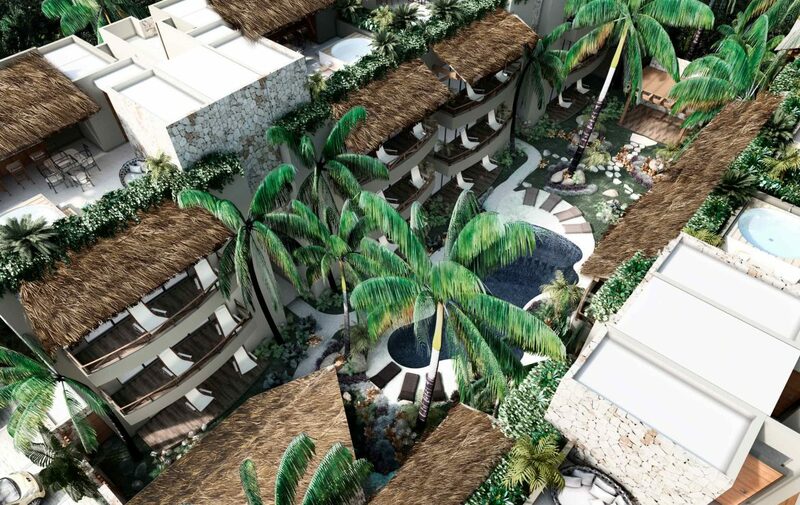 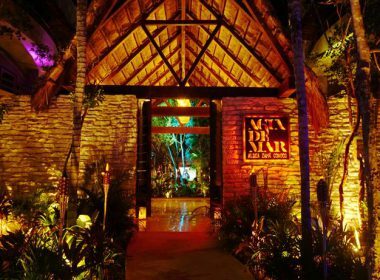 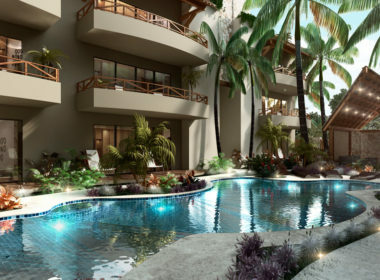 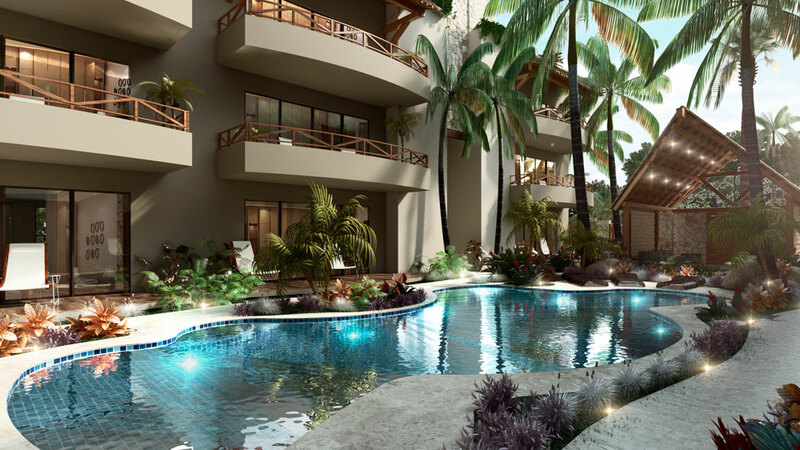 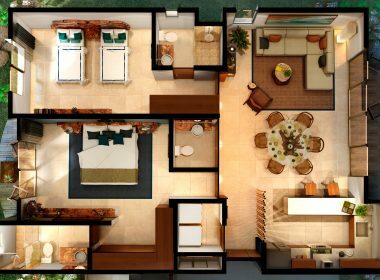 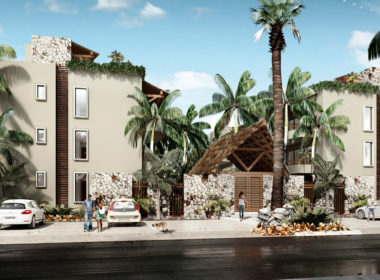 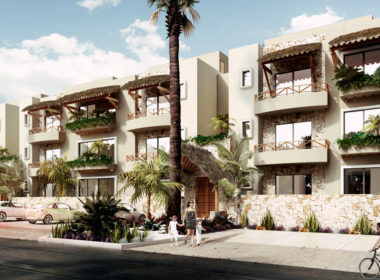 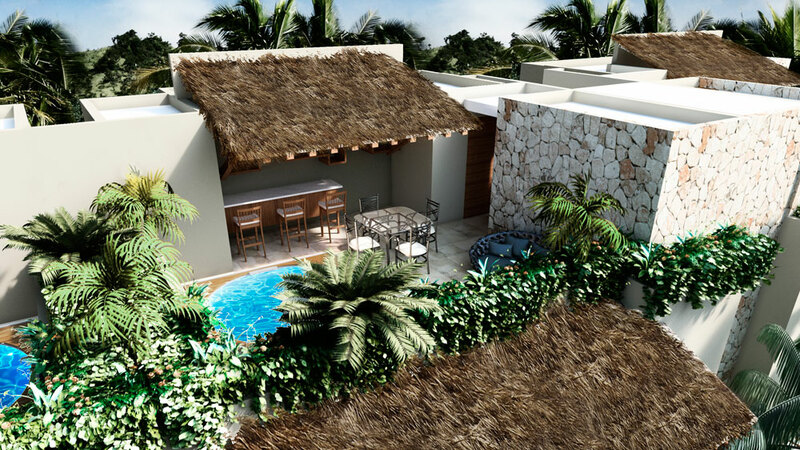 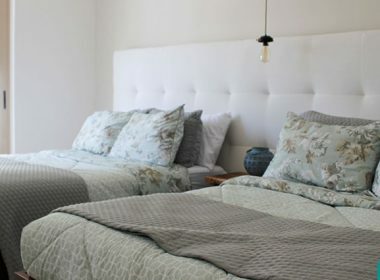 Agua de Mar is a residential concept that enjoys the privilege of being surrounded by Tulum’s natural vegetation without disregarding comfort and exclusiveness. 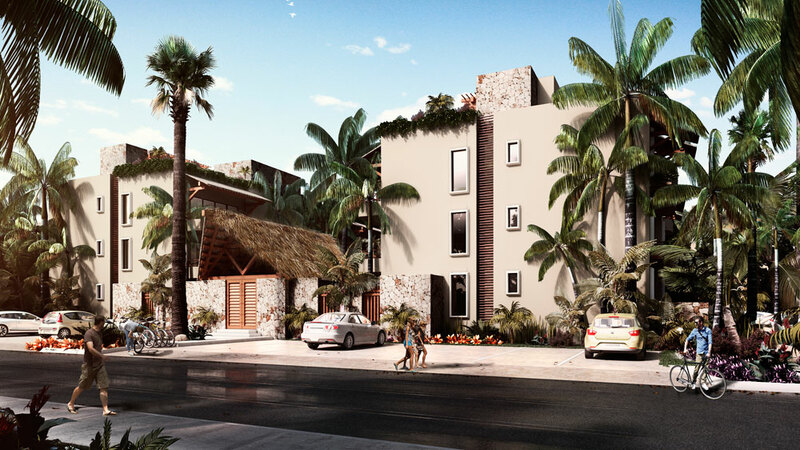 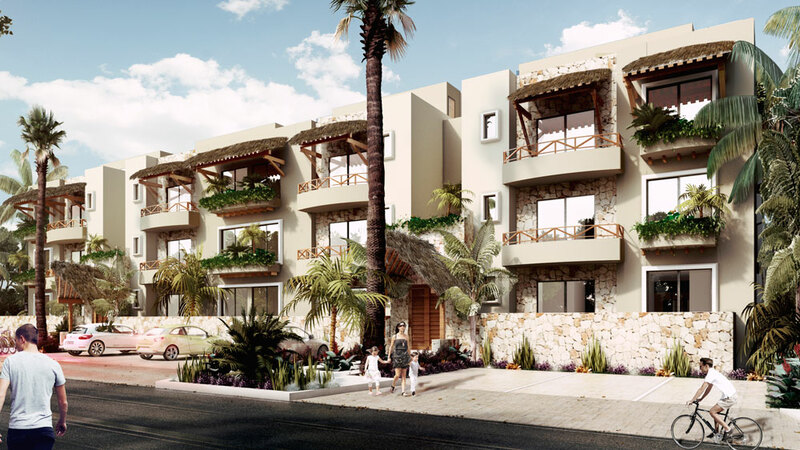 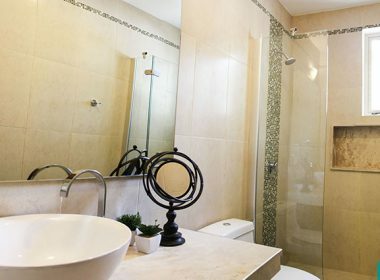 It consists of two contemporary and ecological towers, each with 12 condos with two bedrooms each facing north-south in order to be favored by the area’s winds. 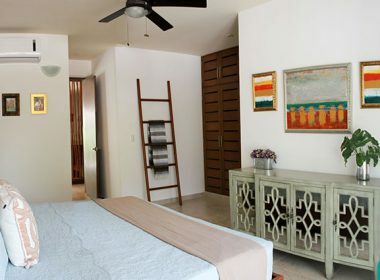 Typical, regional materials were used such as hard wood, grass (zacate) palapas, and rustic stone coverings. 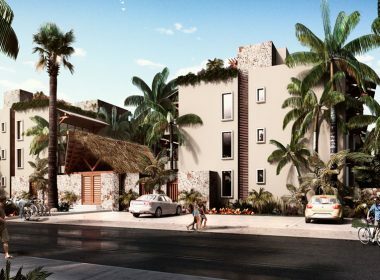 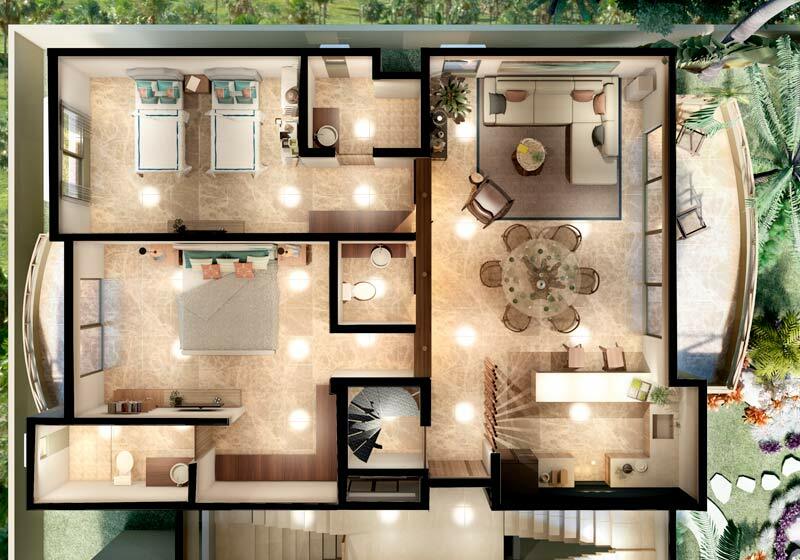 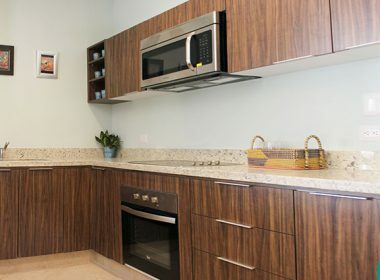 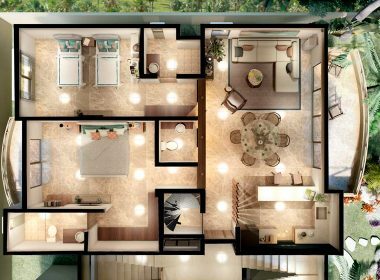 The development’s design has an eco-contemporary trend, using naturalmaterials, integrating natural vegetation, and taking advantage of the natural light. 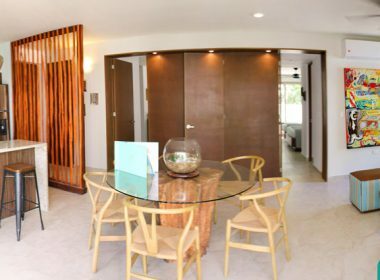 Just like in the common areas, the interior uses natural – but resistant – materials, creating an eco-chic space. 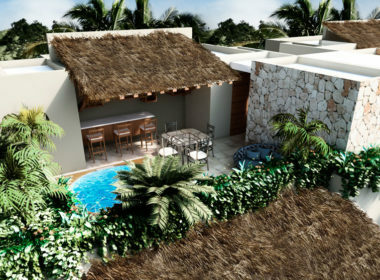 Agua de Mar - Residencial Aldea Zamá, Tulum, Quintana Roo, México.